Business owners spend billions of dollars every year marketing their product or service. They buy full-page ads in magazines, pay for TV commercials, and run ads on Google. All these are visible for a very short moment and then they’re gone. Imagine spending a million dollars for a tv commercial during the Super Bowl, but nobody calls your phone number. Oops. How old is you oldest T Shirt? We have T shirts from when we were in high school, and that was a very long time ago! Our experience has been that businesses who invest in a well-designed T shirt made of durable material see their shirts around town several years later! We know how to create a design and a message that will have an impact on people who see it. The average t-shirt with a message or brand on it is seen by as many as 365 people a month, or 4,380 people in one year. Send us an email at info@shirtworks.biz and tell us about your goals. 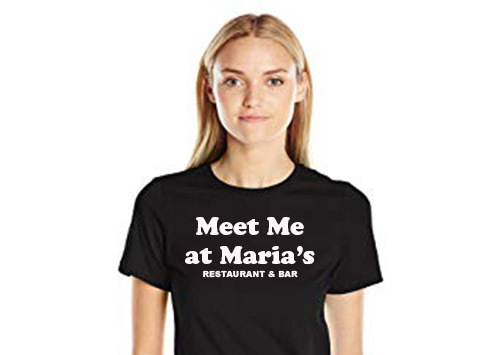 We’ll suggest some ideas for personalized shirts, hats, and other items that will convey the image and the message needed to boost your revenue without costing you a fortune.